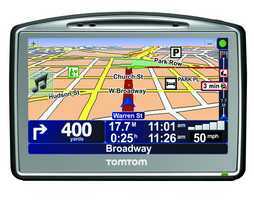 In trendwatching.com’s recent trysumers briefing, navigation is touted as ‘the new laissez faire’, since it’s less risky for consumers to try out new destinations, routes and neighborhoods if their car is equipped with a Garmin or TomTom device. According to independent research presented today, personal navigation devices have another important benefit: a positive influence on traffic safety. Part of the research focused on data collected on 115,197 drivers of lease cars. Those without PNDs had a 12% higher rate of damage incidents, and damage costs were on average 5% higher. Research also showed that drivers with navigation devices were less distracted, ignored fewer traffic signs, felt more in control and less stressful. All of which is being rewarded by Dutch insurance company Delta Lloyd, which co-commissioned the research with Dutch makers of PNDs TomTom. Customers who send in their TomTom product number will receive 10% discount on their Delta Lloyd auto insurance.